Researchers found that eating a Mediterranean diet slows some changes in the brain that may indicate early Alzheimer’s disease. 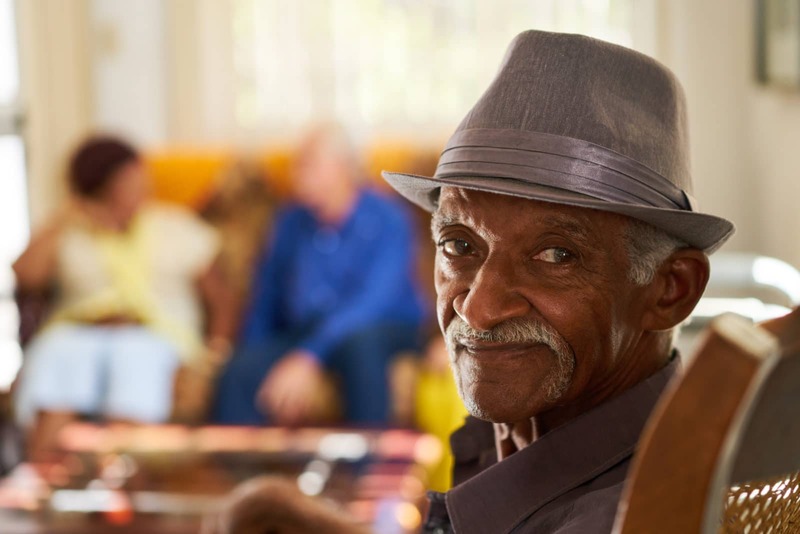 The results point to a lifestyle change that could help reduce the risk of this type of age-related dementia. 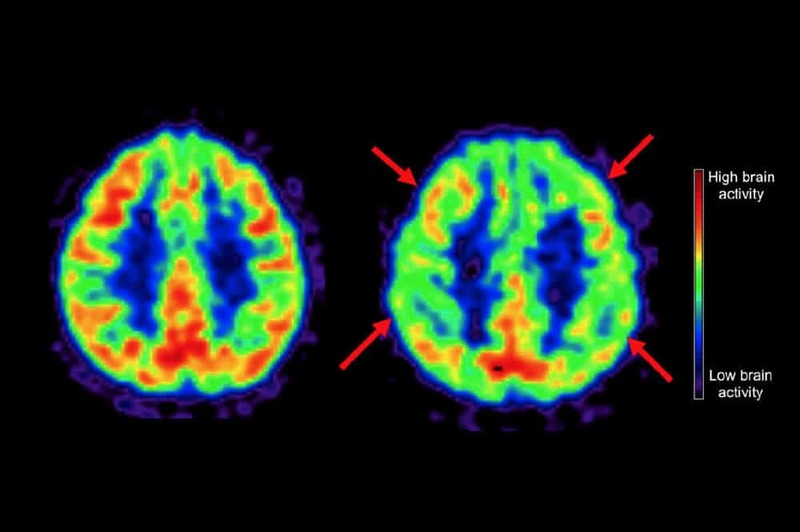 PET scans show the higher brain activity of a 50-year-old woman on a Mediterranean-style diet (left, image shows more red, which indicates higher activity) and a 50-year-old on a Western diet most of her life (right, image shows much less red). Arrows point to areas that are typically affected by Alzheimer’s disease, with lower activity for Western diet. The brain scans taken at the beginning showed that the people who ate a Western diet already had more beta-amyloid deposits than those who ate a Mediterranean diet. 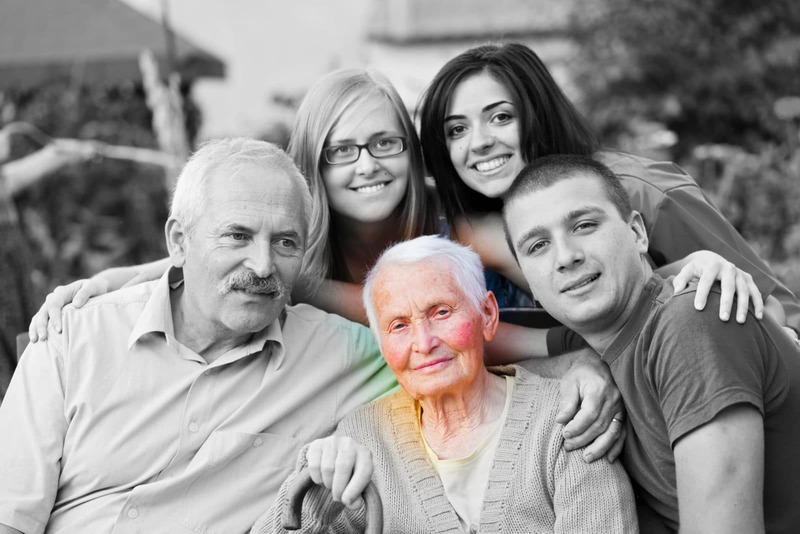 Beta-amyloid is a protein known to collect in the brains of people with Alzheimer’s disease. The brains of those who ate a Western diet also showed lower energy use—a sign of brain activity—at the beginning of the study than those who ate a Mediterranean diet. Both these differences suggest the early development of dementia.